Marking the pitch sets the dimensions for the game and gives the players and umpires guidelines for decision making during the game. Pitch markings determine the position of the stumps, the length of the pitch (depending on age group) and other essential marks for playing the game of cricket. 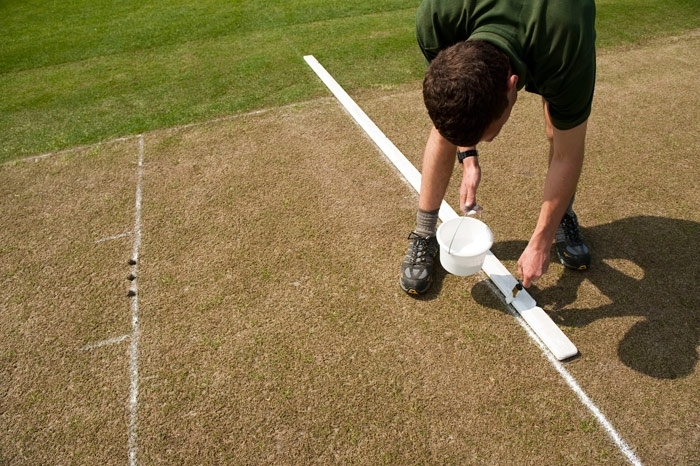 The Pitch is marked out prior to the game and depending on the amount of ground management, worn lines are remarked between a game’s innings and at the start of each day. Incorrect marking affects the pitch length which in turn affects the illegality of a ball being delivered, the length of a good ball and if the pitch is square. Marking the lines too thick can affect umpires’ decisions. Some ground staff use a pre-made frame with the pitch sizes marked on the frame. This is good for marking many pitches in the day. Others use a straightedge, string lines and a 25mm brush. When marking a dusty, dry pitch, dampen the lines using an old washing up liquid bottle. This helps the marking material stick to the soil.